Last night I house managed at the Manship again... this time i had my camera but didn't need it. :) Oh-well. 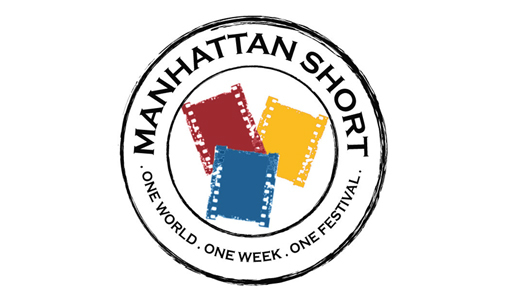 It was for the Manhattan Short Film Festival, which was really cool. Almost 70 people attended, which really isn't that great...next year i'm going to try to tell people about it ahead of time! 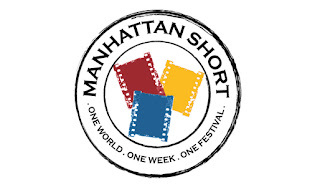 Basically LOTS of short films were entered & this festival included the top ten. The contest was open to every country (except Antartica - haha). The top 10 were from UK, Mexico, Poland, Croatia, Italy, France, Ireland, Australia, Canada & Germany. I voted for Italy... they had the cutest movie with children speaking in Italian...imagine that accent coming from a 6 year old...yeah, they had me there. Their show was called WAR & it was very well done. I know this is an official contest, so i don't know if it's okay to say this... haha... but i collected everyone's ballot so i got to see that most of our audience also voted for War. I just loved it. There were only 2 of the shows that i DID NOT LIKE, the others were very well done...some creepy, some interesting & two were funny. Ha! Btw, if it seems like a really long evening, it was only about 2 hours... each one was around 15 minutes long. It's cool because in one week, every country is watching these films & voting on their favorite & the winner will be announced October 3. Kinda cool. I had fun. Today is Saturday & it is a BEAUTIFUL day! 67 degrees! It's been like that all week!! Our first week of beautiful weather. :) Yay! Brad & i are about to go walk the lakes!!! Oh, how i have missed the lakes! It is just too beautiful to stay inside all day. Tonight we are going to see the Pirates of Penzance at BRLT. I am excited because the theatre had a total makeover & it looks fantastic! We got new seats & there is more hip & leg room. YAY! I had to work a rental at BRLT on Wednesday & had not been there since the makeover...wow! It looks AMAZING. New carpeting & all kinds of details that make the theatre look SO MUCH BETTER! 'bout time! Those chairs were 50 years old if i'm remembering right & sooo uncomfortable! They have been the theatre's number 1 complaint. So they started a campaign where you could buy a seat. They were not cheap, but some of us went in together to buy a seat - the cast of Beauty & the Beast bought one & the cast & crew of The King & I bought one! It will have a nameplate on the armrest with who bought that seat. Kinda cool. I can't wait to see the show tonight! First we're going to go to La Carreta for dinner & eat OUTSIDE!! Something we haven't wanted to do in far too long! :) But they have a porch & so we will take advantave of that. We used to eat at this place ALL THE TIME when we first got married, it was our favorite place, but now i don't think we've been there since my birthday (in March)! I could be wrong though. Still, it's been awhile. Looking forward to it. dan & i had a lunch date outside yesterday at casa maria! it was wonderful! wish this weather lasted longer! !